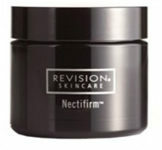 Nectifirm™, made by Revision Skincare, is the only product available on the market that solely addresses the signs of aging on the neck. Nectifirm™ rejuvenates the fragile skin on the neck and decolletage by treating it differently than the skin on the face. Nectifirm™ caters to the necks specific needs by containing 8 actives that work together to help strengthen the dermal-epidermal junction (DEJ). 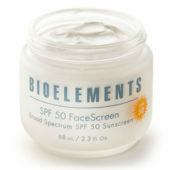 For all skin types, particularly mature skin types.